This is a very solid 1957 Chevrolet 3100 pickup. It has been upgraded with a 350 V8 engine and 700R4 transmission. It's had many upgrades to make it drive like new. It will need a little TLC on the cosmetic side. A must see. Runs great and has a lot of potential. Drive it anywhere. 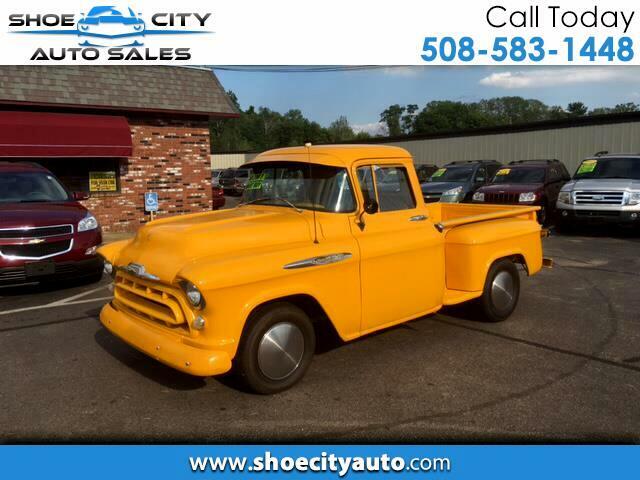 Visit Shoe City Auto Sales Inc online at www.shoecityauto.com to see more pictures of this vehicle or call us at 508-583-1448 today to schedule your test drive. Message: Thought you might be interested in this 1957 Chevrolet 3100.